Let’s kick off this month of Market Monday‘s with a review of how housing in the Tampa area’s biggest county, Hillsborough, performed in February 2018. In February of 2018, 57 fewer single-family homes sold compared to February 2017. In 2018, 1,270 homes changed hands compared to 1,327 in 2017. That means sales dropped 4%. The number of homes for sale also fell from 7,517 in February of 2017 to 6,181 in February of this year. So 1,336 or 18% fewer homes were on the market than February of last year. 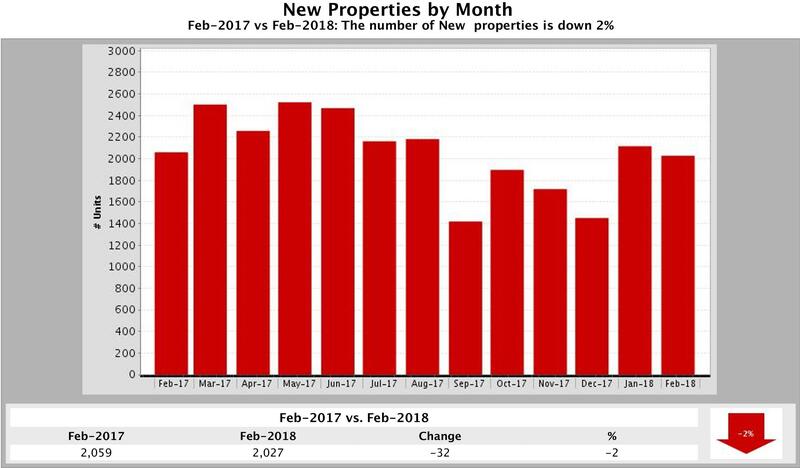 Also, 2,027 new properties came onto the market in February 2018, 32 fewer than February 2017 when 2,059 new properties were listed for sale. 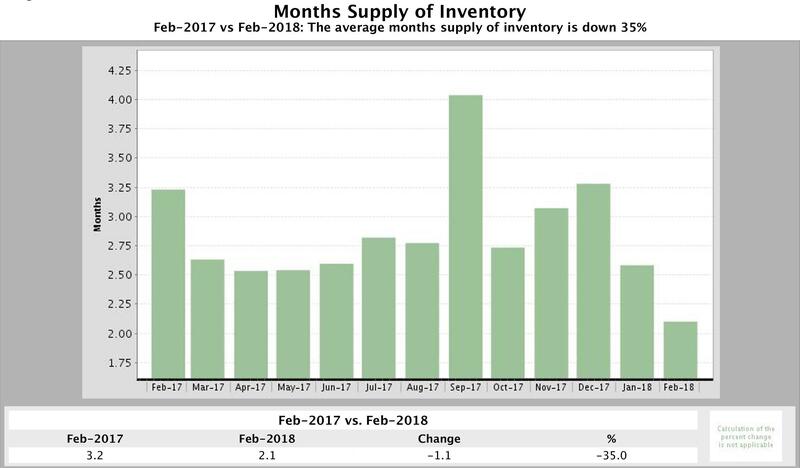 Housing Inventory, measured by Months Supply of Inventory, fell 35% compared to February 2017. 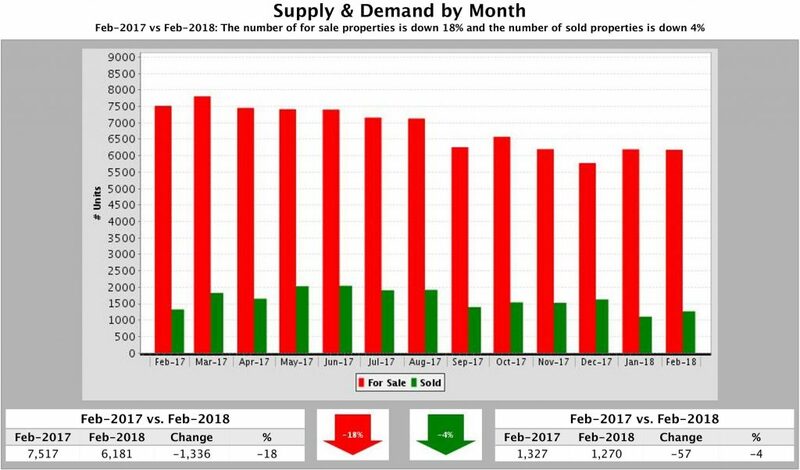 Last February, the Hillsborough market had 3.2 months of supply, but this February the inventory had dropped to 2.1 months. 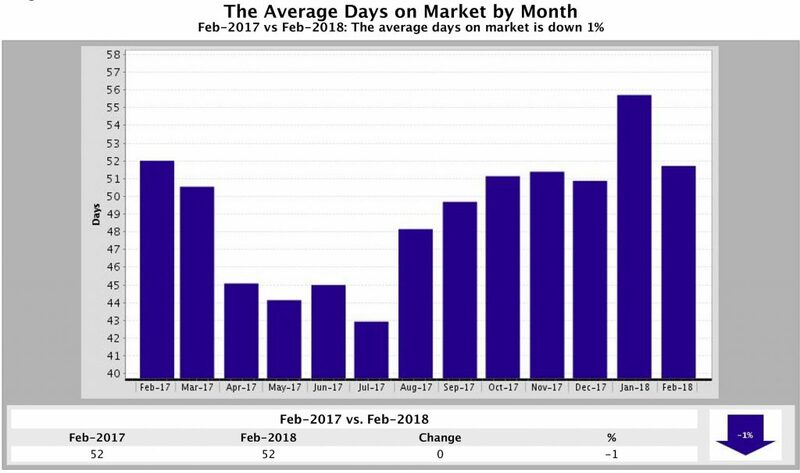 The Average Days a Home Stayed on the Market stayed at 52 days, the same as February a year ago. 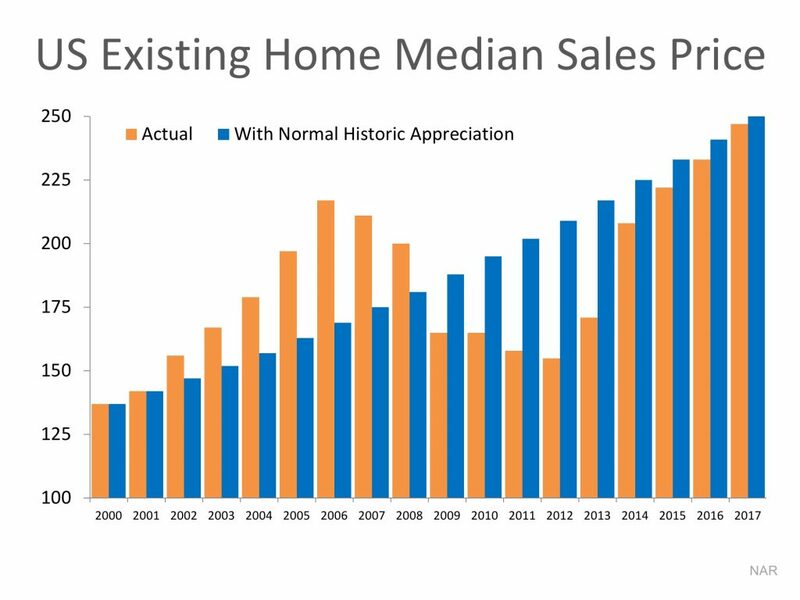 So homes sold at the same pace as 2017. 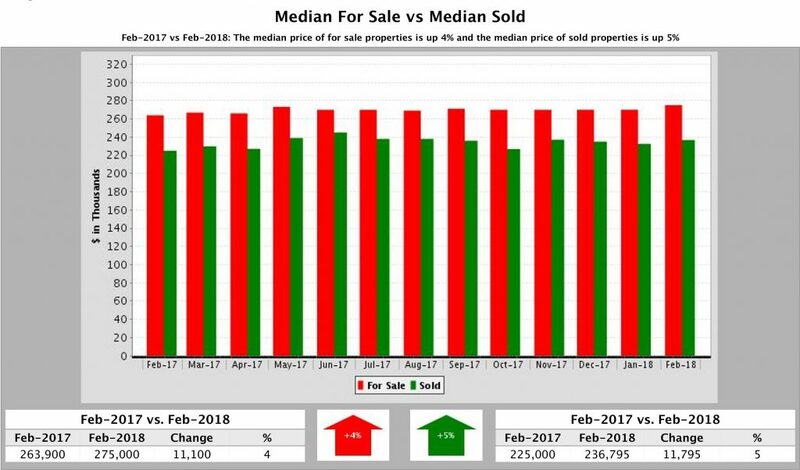 Median Sold Price, which is the price half the homes sold for, climbed from $225,000 in February a year ago to $236,795 in February 2018. This $11,795 price increase was 5% higher than last February. The Median For Sale Price of homes also rose 4% from $263,900 to $275,000, a jump of $11,100. The story remains much the same as last month. A low inventory of homes is slowing sales somewhat, but as winter turns to spring, more homes should come onto the market. This is good news for buyers who have not found what they want yet. It is also a great opportunity for those who plan to sell. 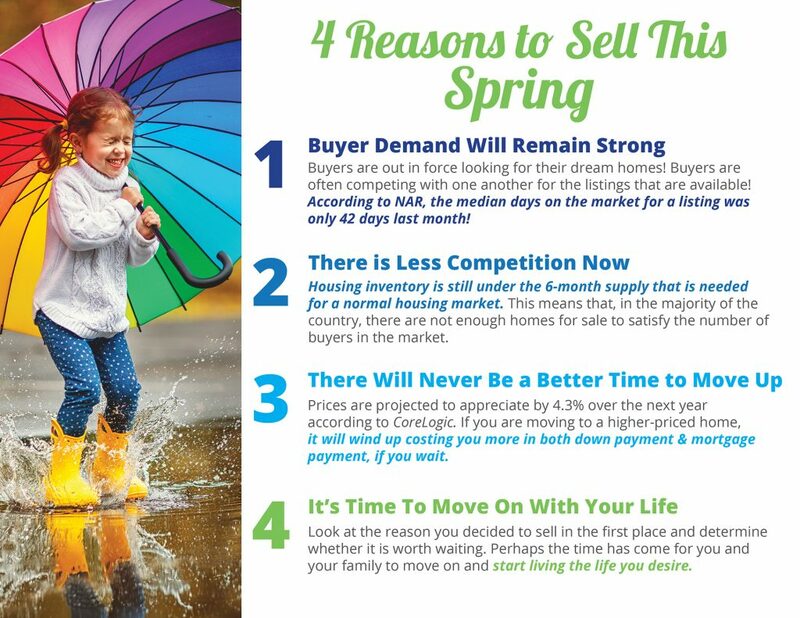 My advice is to start the process now, so you can get ahead of the glut of listings that will hit later in the spring. There are innovative options being added to existing highways, such as express toll lanes, and even some hyper-local transit options in the works. Now this list doesn’t include the autonomous shuttle project touted along the Marion Street Transitway. The shuttle wasn’t ready by the end of January and the Hillsborough Area Regional Transit Authority had to fire the contractor. And the controversial plan to add express toll lanes along Interstates 275 and 4 called Tampa Bay Next — previously known as Tampa Bay Express — has been delayed to get public input but is still in the works. What do rising interest rates mean for homebuyers? As the U.S. economy continues to chug along at a steady pace, interest rates have been rising — making it more expensive to buy and own a home. 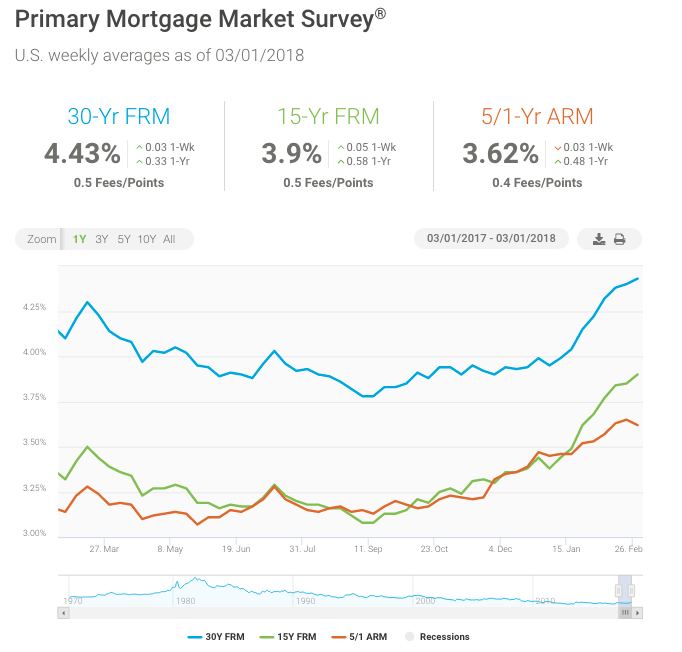 The 30-year fixed mortgage rate hit 4.4 percent during the week of Feb. 22, the highest measure in nearly four years, according to Freddie Mac. So when mortgage rates spike, how does that translate into dollars? Let’s say you decide to purchase a $300,000 home with a down payment of 20 percent, or $60,000, and apply for a $240,000, 30-year, fixed-rate mortgage. If that loan carries a rate of 3.66 percent — the rate in February 2016 — you would pay $1,099 per month, or $395,640 in total over the loan term — excluding taxes and insurance. But at the current rate of 4.4 percent for the same loan, you would pay $1,202 per month, or $432,720 in total. That’s an increase of more than $37,000 over the loan term. House Republicans voted to pare back a popular benefit for people selling their primary homes, but in the end lawmakers retained the existing provisions in the new tax law. 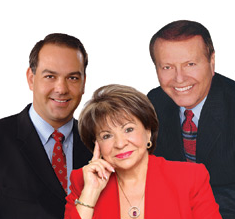 Married couples filing jointly can continue to exclude $500,000 of profit on the sale of a primary home from taxes. For single filers, the exemption is $250,000 of profit. Optimistic testimony on Capitol Hill from Federal Reserve Chairman Jerome Powell sent Treasury yields higher as Powell stated his outlook for the economy has strengthened since December. Following Treasurys, the 30-year fixed mortgage rate jumped 3 basis points to reach 4.43 percent in this week’s survey. The 30-year rate has been on a tear in 2018, climbing 48 basis points since the start of the year and increasing for 8 consecutive weeks. As we documented, historically when mortgage rates surge, housing swoons. But we think strength in the economy and pent up housing demand should allow U.S. housing markets to post modest growth this year even with higher mortgage rates. We really have to wait for housing markets to heat up in spring, but early indications are that housing demand remains robust to these rate increases. The MBA reported in their latest weekly applications survey that home purchase mortgage originations were up 3 percent from a year ago.